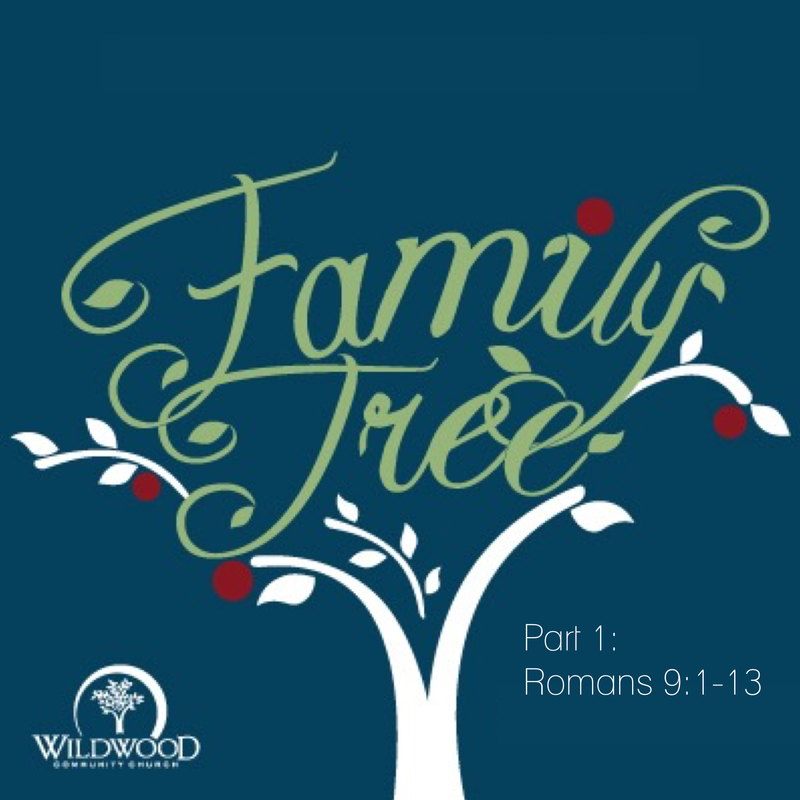 On Sunday, May 29, 2016 at Wildwood Community Church, I preached a sermon based on Roman 9:1-13. It was part one in the “Family Tree” series. Below are a set of questions for personal reflection or group discussion related to the message. How secure do you think your salvation is (0%-100% certain)? Why do you think it is so secure or insecure? Does your heart break for those you know who do not know Jesus Christ as their Savior? Why or why not? What are some things you can do to reach out to those around you with the Good News of Christ? Salvation is secure because it is God’s Work, not ours. The biblical doctrine of “election” is ultimately about God’s sovereignty over the salvation of His people. What are the big questions you have regarding “election” and Romans 9:6-13? Are you questions originate more from your head or your heart? What are some applications that you have drawn from your life from this idea of God’s sovereign choice in election?